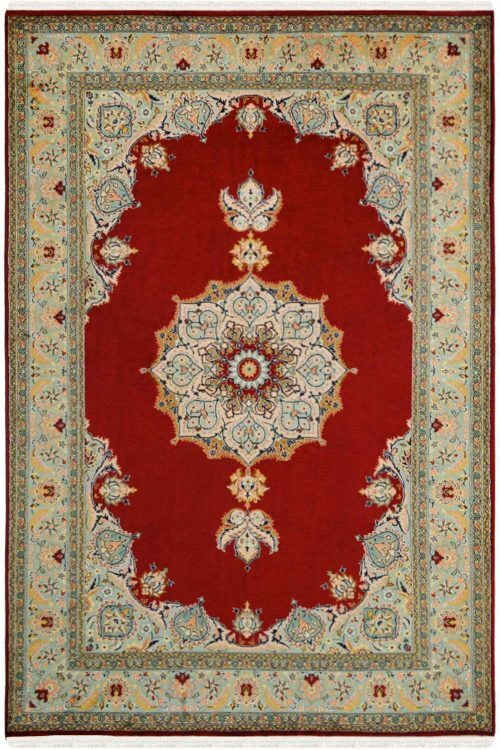 Adore your space by decorating your home with this magnificent silk area rug which is woven in cotton and silk. It is ideal for a low traffic area. 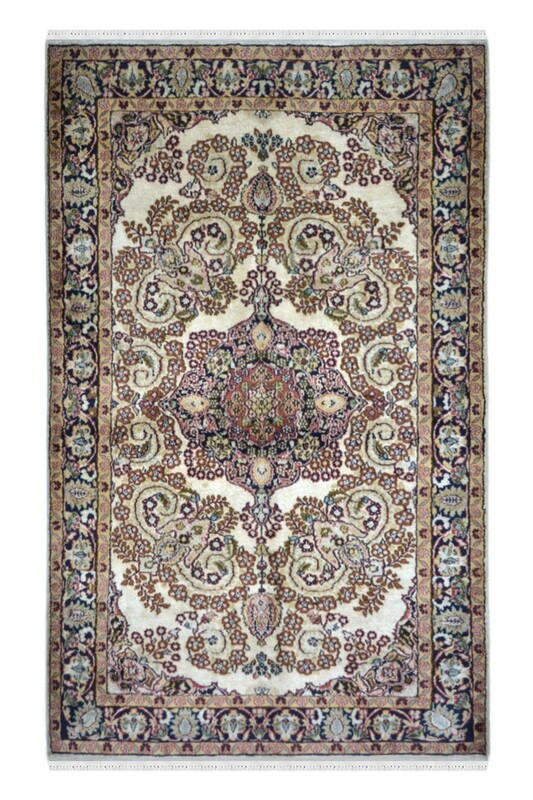 Ivory Sapera kashan is one of the best carpets in Yak Store. 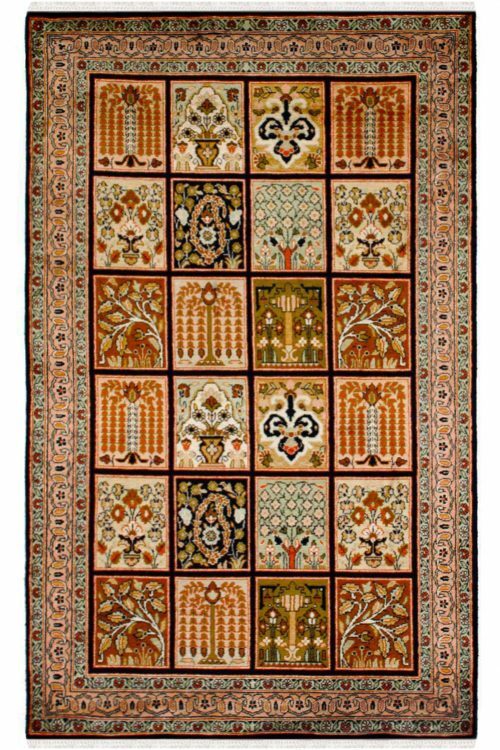 This rug is ” one of its kind ” and is a perfect piece as a wall hanging. It has taken more than 4 months to weave this beauty. The primary colors are ivory, pink and blue. 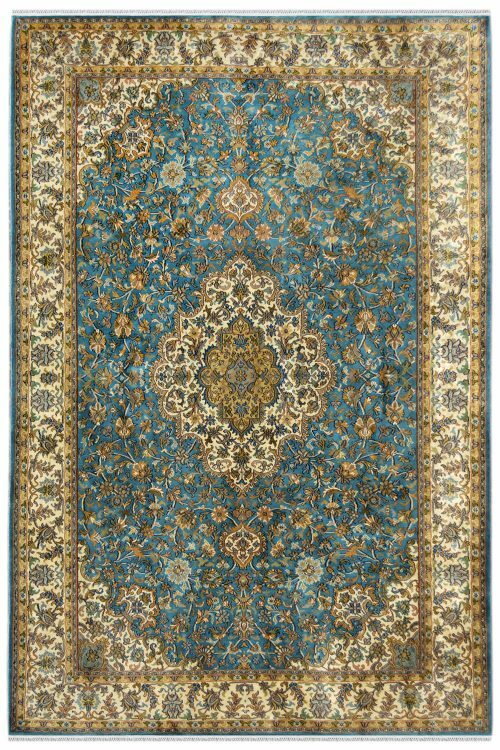 Number of Knots in this rug are 324 knots per square inch. 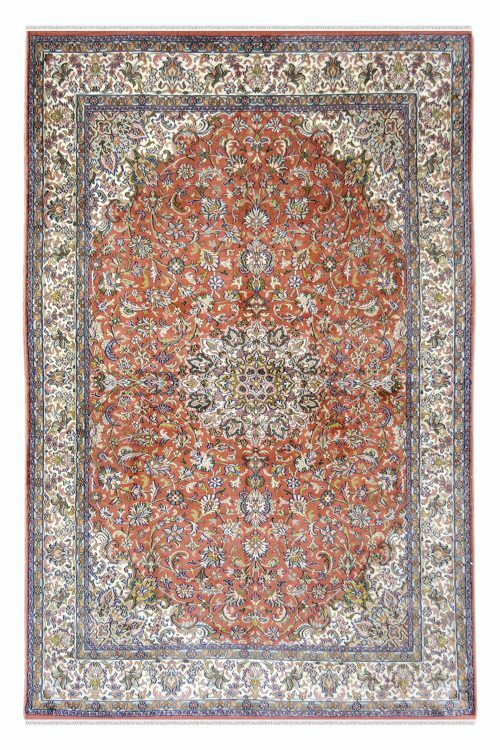 This is ideal for the guest room.